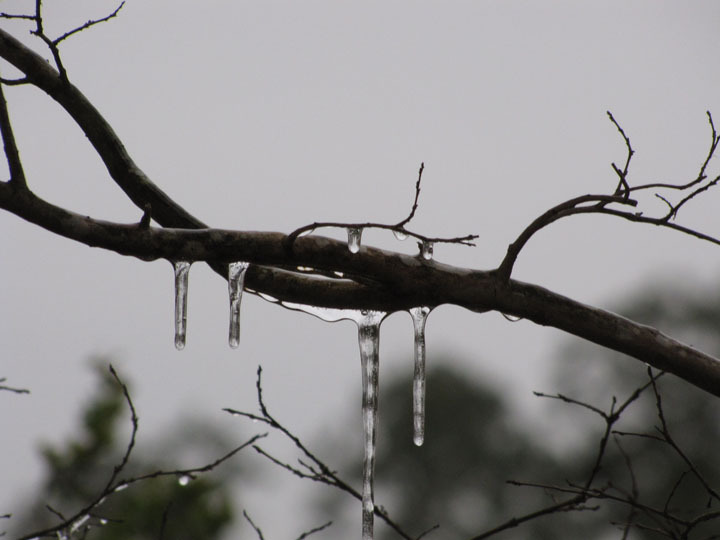 Ice drips from leafless crepe myrtle trees and covers the blooming jonquils. Crystallized water covers driveway puddles and the backyard pond. Traffic is at a minimum although the sun is brightly shining today. All of our heaters are turned on and I am covered with a pashmina over my shoulders, a quilt over my knees, red fuzzy slippers on my feet, and wooly sweater and jeans. We watched Gunga Din with Douglas Fairbanks, Jr. , Cary Grant, and Joan Fontaine; a movie made the same year as Gone with the Wind, a 1940 BBC production of Tolkien’s ‘The Silver Chair’, and a Sam Spade type black and white movie starring Lucille Ball in a dramatic role. A few birds are outside my window looking very cold indeed and I am glad I did not schedule the arrival of my new windows this week. I am most eager to be back in my workroom as everything in it has been shoved up against one wall as I painted first the ceiling—white; and then the walls in a luscious purpley heathery blue color. Now for the new windows which are said to be hurricane proof and certainly more wind proof as the current windows are the original windows from 1910 and rattle in winds more than 15 miles an hour. Most of the windows have been replaced in the downstairs with the exception of the sun room—twelve large windows! My work room is directly above and also has twelve windows but three have already been replaced. Windows are made to order after careful measuring of each one; the installing crew arrives and removes all the old windows and then installs the new ones. I’m hoping for nice weather next Friday as it will be most chilly inside with no windows! When I read your post I thought about the day they installed our new bay and bow windows – the coldest windiest day of that severe winter in Wisconsin. My DH and his friends did the job, and so it took longer than expected. They were so heavy they had to call up for more men. Eventually the windows were set and I was able to stop shivering!